Alpacas were developed in South America and are members of the camel family. Alpacas were most likely domesticated from a wild animal called a vicunya. 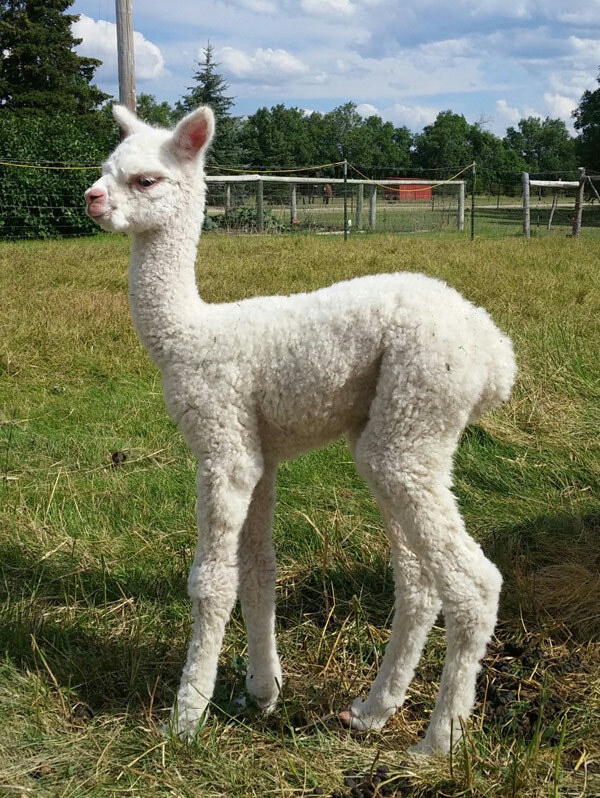 Alpacas are raised for their fiber which is a luxury fiber like cashmere and comes in more natural colors than any other fiber animal. Alpacas eat grass or grass hay and are not expensive to keep. Alpacas are herd animals and do not like living alone. Alpacas are shy and their main self defense is to run away if they get scared. Alpacas can live in small pens and tolerate a stocking rate of 5 per acre. Alpacas are sheared once a year. Alpacas live for twenty years or more. Alpacas have one baby per year; gestation is 11 to 11.5 months. Alpacas are great with kids and are a wonderful animal for the small farm.